R.W. Sir Charles Lanyon. P.M. Lodge 7. MP for Belfast, 1866. R.W. 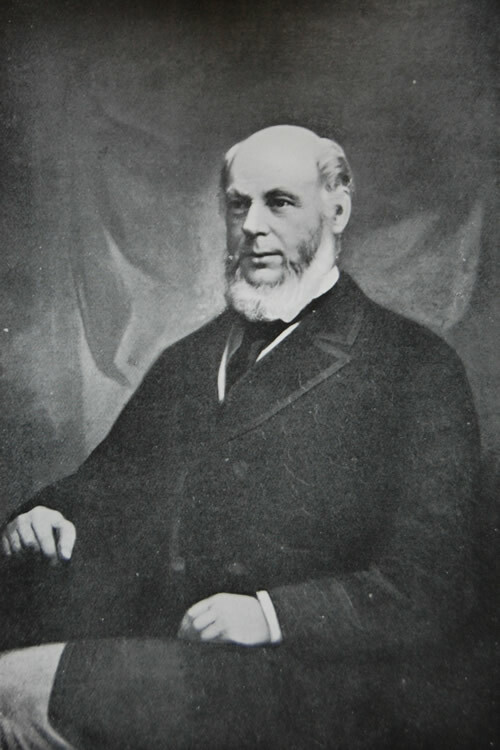 Sir Charles Lanyon, PGM, was a well-known public man in his time, having been Member of Parliament for Belfast in 1866. By profession he was an architect and designed many of the public buildings in Belfast, the Masonic Hall, Arthur Square being one of them. It was during the time he was Provincial Deputy Grand Master that the project for building a central Masonic Hall was started. He took a very prominent part in the in the efforts of 1863 and 1865, and gave the whole weight of his influence to the movement. He attended many of the meetings and took the greatest interest in the new hall. He was the first chairman of the Belfast Masonic Hall Coy., Ltd., and laid the foundation-stone on 24th June, 1868, presiding at the banquet in the Ulster hall on the same evening.